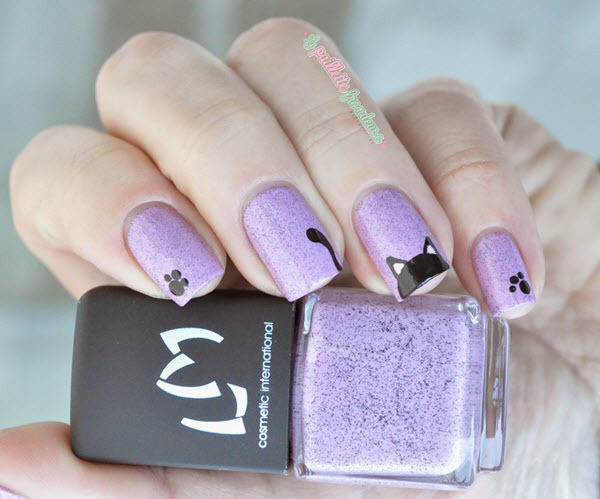 Cat lovers, we got a special treat for you — kitty cat nail art designs! If you love cats, sneak in cat videos at work, and can’t resist anything cat merchandise, then these feline-inspired nail art probably has you purring in happiness right now. We’re very fashion friendly so here are some ideas for when you touch up your nails with these cute cat designs. Pair off your cat nails with a kitty print or cat design shirt. Same goes for accessories like watches, bracelets, rings, or earrings. Cute dangly earrings with a cat design will definitely make for a conversation starter. Trip to the vet with your pet cat? Jazz up your nails with these adorable cat nail designs. Now check out these purrfect kitty cat nail art designs we collected for you. They’re irresistibly cute, we promise.